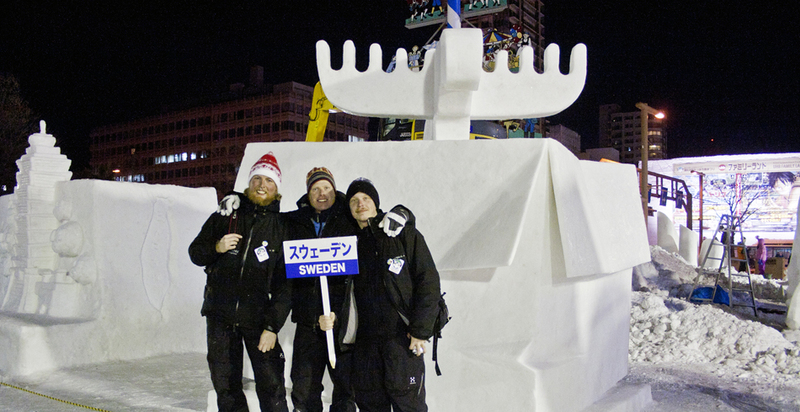 In February 2012 PinPin Studio together with Jens Thoms Ivarsson got the chance to represent Sweden in the 39:th annual International Snow Sculpture Contest at the Snow Festival in Sapporo, Japan. 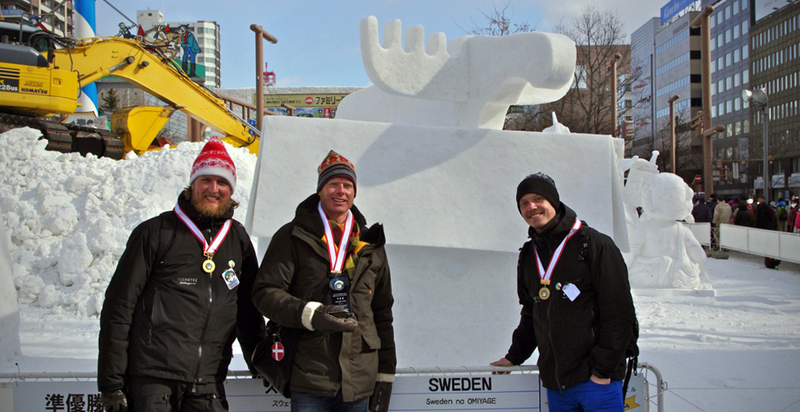 Our sculpture, ”Sweden no Omiyage”, recieved second prize and a silver medal! 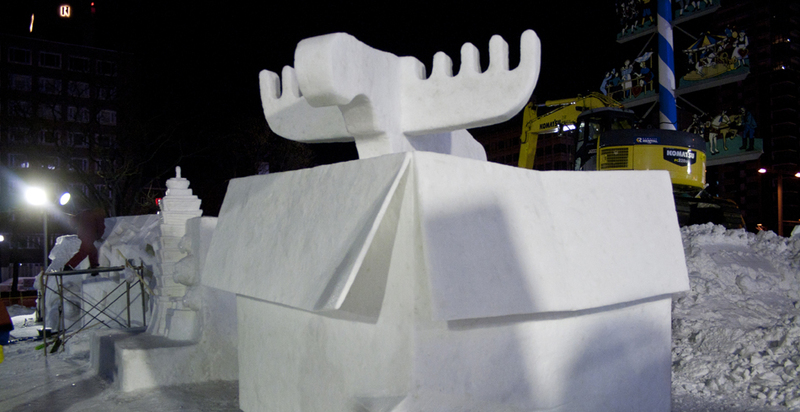 The sculpture was made in four days, and our intention was to represent Sweden in the form of a big souvenir, a moose in a box. Our goal was to make people smile through Swedish simplicity and humor.